All across the world, the 3D printing sector is expanding at an exponential rate, and South Africa is no exception to this growth. The country has gained recognition from the 3D printing community for Hans Fouche’s large-scale Cheetah 3D printer, which was recently put to the test by South Africa’s I Maker Lab. Meanwhile, the German-based Aachen University of Applied Sciences has been hosting 3D Printing Summer School sessions in South Africa, training local students and professors about the inner workings of additive manufacturing with German RepRap 3D printers. These are just a few of the numerous examples that effectively showcase South Africa’s expanding 3D printing market. In fact, since 2014, the country’s public sector has invested around 358 million Rand (about $24.5 million USD) in 3D printing technology research and development, a number that is likely to increase in the near future. The South African Department of Science and Technology (DST) has committed R30.7 million towards additive manufacturing research and programs, which are focused on titanium medical implants, aerospace components, polymer 3D printing, and design. One of the DST’s current flagship projects is Project Aeroswift, a collaborative effort between Aerosud ITC and the Council for Scientific and Industrial Research National Laser Centre. This particular project, which was launched back in 2012, aims to design and build a 3D printing system that can print metal components on a large scale very quickly. Upon completion, the printer will have a 2m x 60cm x 60cm build envelope, and will be capable of printing titanium and other metal components at speeds that are supposedly multiple times faster than current 3D printing systems. Thus far, the DST has invested R107 million into Project Aeroswift, which could be a potential game changer if it can reach the incredible speeds that they are aiming for. 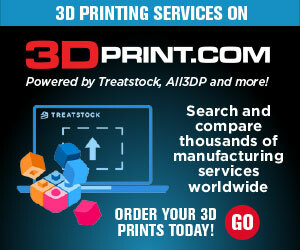 Outside of the DST, even local businesses are starting to adapt 3D printing technology into their production process. According to case studies from Vaal University of Technology, 3D printing and digital design has helped the South African shoe industry reduce their idea-to-product time from 10-14 weeks to just three days. In Bloemfontein, which is a city in central South Africa, an additive manufacturing strategy has been developed to improve the technology on all fronts. Their strategy consists of four primary areas of focus, medical and aerospace parts, new materials and technology development, improving competitiveness with traditional manufacturing methods, and lastly, small business support and program development. The Industrial Development Corporation (IDC) has recently launched a new industries strategic business unit, which they claim will involve the further development of 3D printing technology. The IDC believes that their focus on 3D printing will lead the country to adopt the emerging technology faster, which in turn will stimulate job creation and promote global competitiveness. 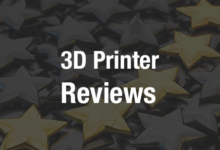 Additionally, 3D printing service bureaus have started popping up across the country, and have helped businesses in the private sector actualize their ideas. For instance, the Pinetown-based high-end audio company Coherent Audio has turned to a local private 3D printing bureau to help them prototype and produce low-volume parts for personalized speaker systems. Although South Africa is considered to be a late adopter of 3D printing technology, both the public and private sectors have been able to build a viable additive manufacturing market in the country with collaboration and constant innovation. 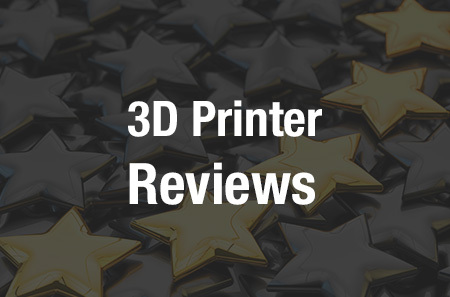 Whether that innovation is coming from a government entity, a university, a privately owned business, it’s evident that South Africa is slowly solidifying itself as one of the up and coming countries in the global 3D printing market. Discuss further over in the South Africa Pioneering in 3D Printing forum over at 3DPB.com.